1°) Choose a lanyard colour from the selection. 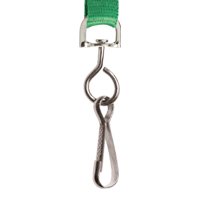 Metal crimp: adds a touch of shininess to the lanyard. 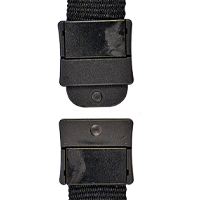 Safety break-away tab: pulls apart if any part of the lanyard is pulled with force (to eliminate the risk of choking). 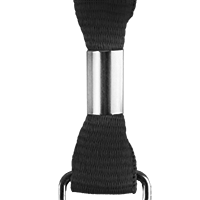 4°) Click on "Design Now" to play with our new interactive tool which will enable you to customise the lanyard (including adding text, upload images or shapes), view a real-time proof and purchase online. 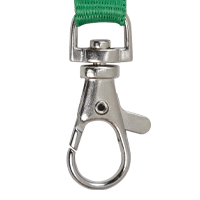 Custom lanyards have never been easier! 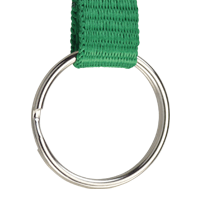 Customise your lanyards with a 1-colour silk screen process! 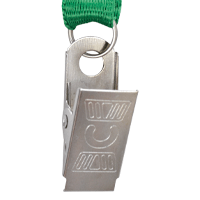 With our new interactive tool, you can customise the lanyard, view a real-time proof and purchase online.